- Latest 11W led version, note the picture shows the lower W version, the new version have a better heatsink and are Black colour instead of silver. The new version have 4x Cree-XTE X4 leds. Replace your dull yellow bulbs with these ice white bulbs. They have 11W of super bright 7000k leds per bulb. 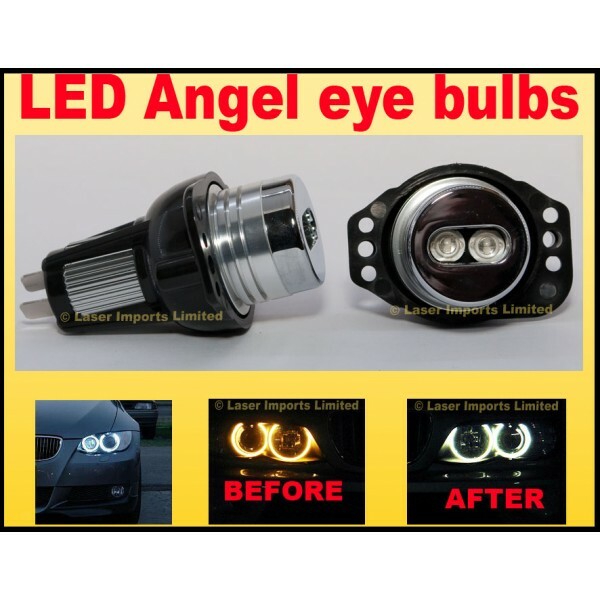 Amazingly bright and effective they can be seen clearly in daylight, they are a direct replacement for those dull yellow OEM lights that are very poor in comparison. To install simply unscrew your existing lights, remove the existingb ulb and plug this bulb in it's holder. No modification required. Brand new 11W led per bulb. No need to reprogram your ECU. WIll not generate an error code. Plug & Play (Easy to install), "+" and '-" poles automatically recognized. I have these in ice white, which is the only legal colour for road use. See my other listings for more Car Led bulbs.